Christmas comes closer. Like every year a plethora of musicians are offering Christmas Music. Among those is guitarist Nils with his new album Christmas Everyday featuring Erin Stevenson, Ken Stacey, Clydene Jackson, Johnny Britt, and Diana Tash. Nils prefers the traditional approach, where modern elements flow in here and there. The tunes are mostly vocals with some rare instrumentals. Get the album on Amazon.com. German-born jazz guitarist Nils has found the way to the hearts of the smooth jazz audience with albums like Pacific Coast Highway (2005), Ready To Play (2007), Up Close And Personal(2009), What The Funk (2010), City Groove (2012), and Alley Cat (2015). His new album Play (2018) is the next stunning bringer of the groove. Besides his longtime core band of Clydene Jackson (keyboards, vocals), percussionist Oliver C. Brown and bassist Darryl Williams are joining this project drummers Gorden Campbell, Tony Moore and Eric Valentine, pianists Gail Jhonson and Mitchel Forman, bassist Roberto Vally, keyboardists Philippe Saisse and Nate Harasim and saxophonists Steve Cole (solo), Brandon Willis (solo), Charley Langer (horn section) and Mike Parlett (horn section). Finally, Johnny Britt adds vocals, keys, Rhodes, trumpet, and horns to selected tracks. The starting Coast To Coast conjures up the fantastic mood of a ride along the coast with its multitude of vivid impressions reflected in Nile’s guitar riffs. The song We Got Love was released in 2015 by Babyface as part of his album Return of the Tender Lover titled in reference to his second solo album Tender Lover. Nils perfectly captures in his rendition the rollicking vibes of the original. 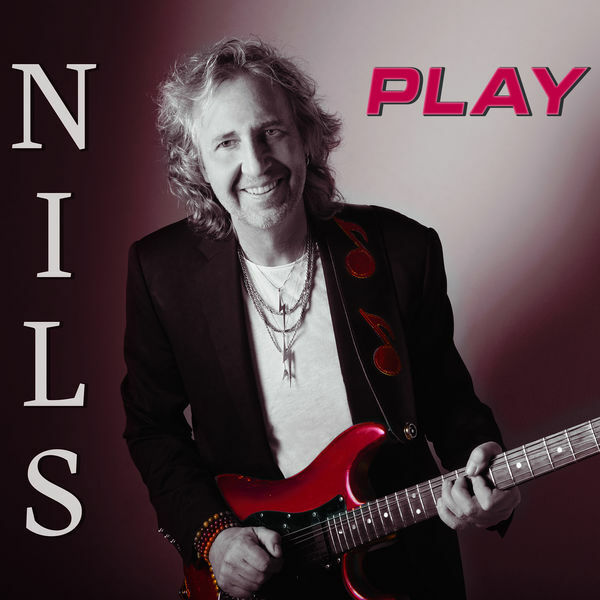 Nils’new album entitled Play is a perfect metaphor for his easy-going, effortless ability to produce, compose, perform and engineer a 12 track collection of amazing hits. The endless studio hours spent have resulted in a unique yet very commercial sound that crosses into multiple formats. From the opening track ‘Coast to Coast’ to the sure to be radio single ‘Straight Down the Line’ and the soulful remake of the George Michael classic hit, ‘Careless Whispers’, Nils has delivered a collection of evergreen hits to be added to his stellar song catalog. Calling on his musician friends and others to lend an ear and help with the many elements of the production, Nils’ chosen lineup has created an album of excellent sound quality and first class musicianship featuring Steve Cole, lead sax and sax solo; Daryl Williams, bass; Oliver C. Brown, percussion; Johnny Britt, keys, trumpet swells and trumpet solo; Jay-Jam, horns; Dov and the Love Star Strings, string section; Gail Johnson, piano; Eddie Brown, vocals; Tony Moore, drums; Roberto Vally, bass; Phillippe Saisse, keyboards; Mike Parlett, saxes; Mitch Foreman, piano; Clydene Jackson, vocals, Rhodes keyboard; Nate Harrison, keys; Charley Langer, saxes; Eric Valentine, drums; Brandon Willis, sax; Simon Phillips, drums. German born guitarist Nils has impressed the audience with smooth jazz albums like Pacific Coast Highway (2005), Ready To Play (2007), Up Close And Personal (2009) and City Groove (2012). After one year in the making he is now releasing his new project Alley Cat. On his new CD he is joined by late Ricky Lawson (drums), Darryl Williams, Reggie McBride and Carsten Schmelzer (bass), Clydene Jackson and Nate Harasim (keys), Oliver Brown (percussion), Johnny Britt (keyboards, trumpet and flugelhorn), Eddie Brown and Kathryn Bostic (vocals), Reggie Codrington, Eric Marienthal (sax), DOV (strings, violas), Malcom Pearson (cello) and more. Many of his established companions. With Two of a Kind Nils starts a fresh and uplifting guitar tune, a captivating burner with a straight melody. Alley Cat is a song like a full-bodied wine, topped off with strings and a horn arrangement. Don’t Hold Back shines with Nils’ typical hooking guitar play, one can hear on all of his previous albums. Johnny Britt and The JayBeez Hornz deliver some icing on the top with an easy going horn arrangement. 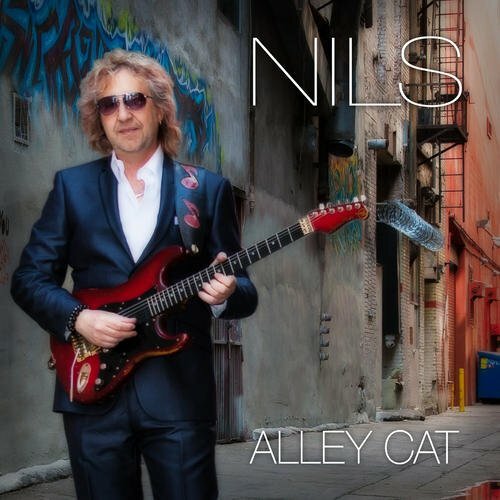 Nils new album Alley Cat has been a year in the making, not that Nils isn’t very prolific and can write, produce, arrange and perform radio friendly hits at the drop of a guitar pick. It’s just that he has been a man demand. Keeping busy with writing and performing on the current chart hit ‘Harmony Park’ by Nate Harrison which features Nils & Dave Koz or being featured on Brian Simpson’s latest album or having produced three upcoming albums for various new artists. All this plus the release of his ‘Best of Nils’ album and numerous club and festival performances yet he has still managed to produce what should be another chart topper, Alley Cat. The album will be released August 21, 2015. Pre-order it now at Amazon.com. Nils has been one of the most successful artists in the Contemporary Jazz genre. With 3 number 1 Hits in the Billboard Smooth Jazz charts, including the Song of the Decade 2001-2010 “Pacific Coast Highway” and Song of the Year 2011 ” Jump Start”, he stands out amongst his peers. So click the order button and get instant access to Nils’ latest album, “Jazz Gems – The Best of Nils”. Enjoy 15 top 20 Hits on this incredible collection.